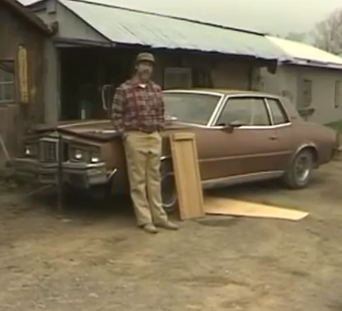 Possum Lodge is situated on the most ideal spot of Possum Lake to construct a building (as said by red to Kevin Black in a season 5 segment of Ask the Experts) and just outside of the fictional town of Possum Lake. It is also situated in the area of Port Asbestos. Possum Lodge and the Possum Lake area is said (according to Red's Facebook page) to be approximately 148 beer stores north of Toronto. In realistic terms, this is understood as being situated in cottage country in the Muskoka’s, which is a popular vacation spot for many South Western Ontarians. With some research this would put the location between Barrie and Parry Sound. Further, this specifically points to the Town of Port Carling to be the real location of the Town of Possum Lake. This would make sense as many segments of the show were shot on and around Lake Rosseau (Port Carling is surrounded by this lake). This would include Ranger Gord’s watchtower, some of the Adventures with Bill segments, scenes with Buzz Sherwood and his plane and Glen Brackstons' Marina. Incidentally this marina has become known locally as Brackstons' Marina as the owner has enjoyed continuous association with the show. What also helps to confirm this theory is that Red mentions in a Mailbag segment in Season 1's, Hot Water Bottle (Episode 15) that he had gone fishing on Lake Scugog the previous May for pickerel. Lake Scugog of course is about 2 hours east of Port Carling, making it a reasonable fishing destination for Red and helping to further confirm the location of the real life Possum Lake area. Lastly even the Possum Lodge Crest helps give us some answers. The Possum Lake chapter is known as chapter 11. This seems like an odd number for a lodge to be named after, as you would assume they would call themselves chapter 1 or were the eleventh chapter to join (There is no mention of other chapters outside of Season 3's Possum Olympics). One belief is that the 11 is derived from Ontario Highway 11 which is the closest major Highway to Port Carling as Hwy 400 did not extend up near Parry Sound back in 1990 like it currently does today, making Hwy 11 the main express route in the area. Another belief rests with many fans who have messaged in to mention that "Chapter 11" in the United States also means bankruptcy. As such this could be a play on Steve's humour in also calling the lodge "Chapter 11". Charlie Farquharson in Episode 246 "You've got oil" from 2003 is mentioned to be from Parry Sound and at a lodge meeting suggests that he came to the lodge because he wanted to come see where the smell is coming from. He then suggests Parry Sound is close by to the lodge and area which places the lodge within the Port Carling area and further provides proof of Port Carling as the setting of Possum Lake. 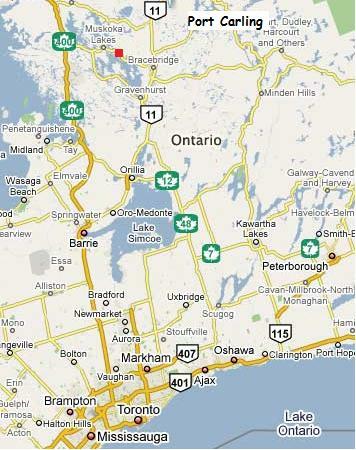 This Map shows Port Carling (Red box) in relation to Toronto. Here we have a close up view of the area. I have indicated where Ranger Gord's Fire Watch Tower is beside Lake Rosseau with the star. Other Adventures with Bill scenes as well as scenes during the first 3 seasons where the van was driving through the country were all taken in the Hamilton area, typically around the Niagara Escarpment. It was not uncommon for the crew to be seen jumping in the van and doing a couple of shoots in the area randomly. These would be quick scenes where they would film and move on before any anyone noticed. In addition there is a children’s summer camp near Rockwood, Ontario, where many of the Adventures with Bill, as well as scenes where Red talks to the teenagers while walking around cabins, which was taken in this area as well. This camp in particular is said to be a Christian Boys camp located in the north west of Hamilton near Rockwood. I have more on this below under "Cabin area around the Lodge"
Many have always wondered about where the location of Harold's Office between season 8 and 10 when he got a job and moved to Port Asbestos to work for "Multicorp". This of course coincided when Patrick McKenna decided to step away from the show while he worked on other projects like Traders. In actual fact, the location of Harold's Office was really the offices of the newspaper, The Hamilton Spectator which is located in Hamilton, Ontario. 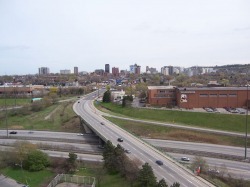 Picture of the office (On the right) from behind with Hwy 403. 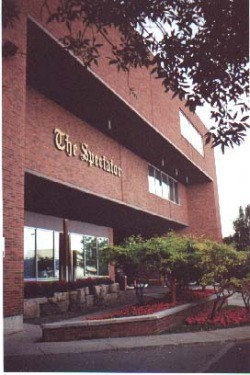 The front doors of the Hamilton Spectator. Dalton's everything store became a major part of the show starting in the 4th season. Dalton, being a very close friend of Red, would often have him come over to shoot various segments. These segments would start off with a shot of the property which was usually Dalton's buildings surrounded by junk with a rusty "antiques" sign out front. Red frequently would also open with "we're out here on the main highway at Dalton's Everything Store." This would put Dalton's store just outside of the town of Possum Lake, probably in between town and the lodge itself. The store is made up of a small house with a garage type building used to store items. The front lawn is littered with items in varying states of decay and resembles many rural Ontario antique shops. The actual store used for the filming of these segments is unknown. However it is unconfirmed that it was shot at a real antique shop on Ontario Hwy. 11 between Barrie and Bracebridge. This would make sense for several reasons. 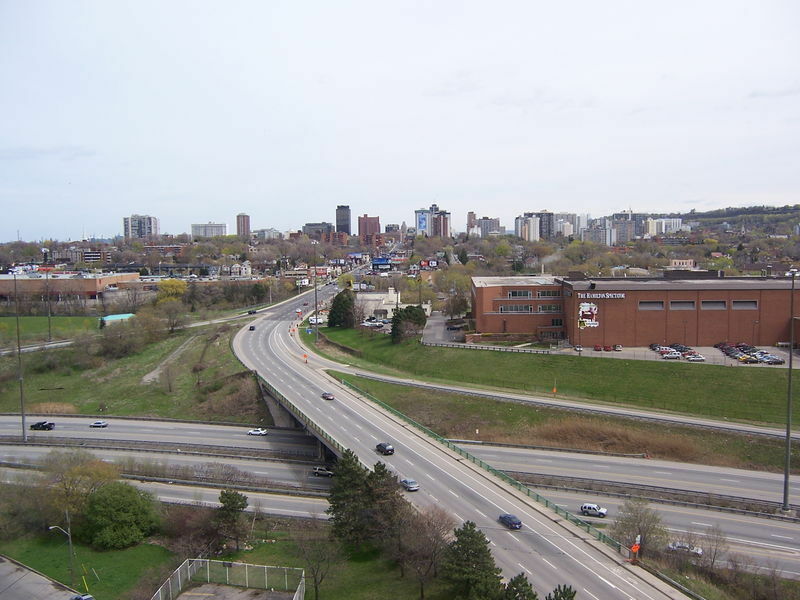 First off, this stretch is a very old stretch of highway and very unique in Ontario (partly in that despite being partly a 4 lane divided freeway style with controlled access, many businesses and homes are directly along the route with direct highway access similar to a standard county road or secondary highway - which is where the location of the store used on the show appeared to be). It is the route traveled by many cottagers, hikers and vacationers from the Greater Toronto Area (GTA) up to Algonquin park, Northern Ontario and the Muskokas. There are numerous antique stores along the side of Hwy. 11 on this stretch and this has all been apart of GTA culture since the 1940's. It is also the stretch traveled by the cast and crew of the show to the many location shoots in the Muskokas. And because of the closeness to Port Carling and the surrounding area, it would be reasonably geographically accurate in regards to the show as well. This is important as it may have given Steve Smith the idea to create Dalton's character and place him in the show. That said, at the very least, it is believed that the shops along Hwy. 11 contributed to the development of the Dalton character on the show. We do know for sure where Gord’s tower was from the 2nd season to the 6th season This is before it was moved on set at CBC studios downtown Toronto following season 7 (In this season he was seen in the lodge due to his tower falling down). 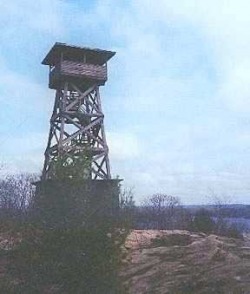 As mentioned above, in seasons 2-6, his tower is a real fire watch tower located in the Lake Rousseau area which is about 1-2 hours north of Barrie Ontario. From the 5th Red Green chat on Feb. 21, 2010, Red mentioned that this was located near Keswick, Ontario. He mentioned to go to Port Carling,Ontario and turn left. This would confirm it as the Lake Rosseau tower (aka Ferndale Tower). More information can be seen here on Wikipedia, here and this great site. Further research has confirmed this as the Ferndale Tower off Ferndale Rd. in Port Carling. This is shown in the picture below. The tower itself is not a former decommissioned tower of the Province of Ontario's Ministry of Natural Resources as many believe. In fact it was built in the 1960's as a lookout for the Ferndale Resort which is mere minutes away. The chunk of land that it sits on has been purchased and is now private land. The tower is currently being maintained and used casually as it has been reported that there are now solar panels on the tower to run equipment. Its also been reported that the head of Mattamy Homes is the current owner. In season one he appeared in what looks like a kids tree house. It is believed to have been at Steve Smiths' own house in the Hamilton area which was built for his two children in the 1980's. I believe I have proof here. One of which, Max, would not only end up appearing in Season 1, but would have a role in the production of the show in the later seasons as well. His other son Dave, would also work on the show in a writing/production capacity later at the end of the series. 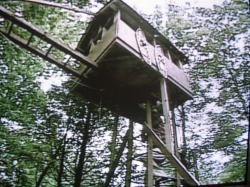 Ranger Gord's tower in Season 1. Here is the Ferndale Tower. You can see more information from this great website dedicated to Ontario's Fire Towers. The clips where Red talks to the young people watching in some of the earlier seasons, as well as where some Adventures with Bill segments were shot (where they rake the leaves is a prime example) is a Christian camp in Rockwood Ontario which is in the south western section of the province. This is believed to be Camp Brebeuf which is to the north east of Rockwood. They also shot extensively at the Christie Conservation Area which is also just outside of Hamilton. 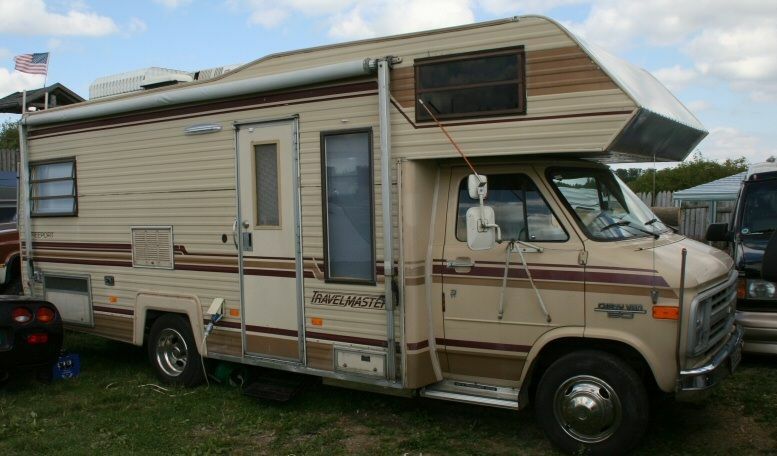 It has been mentioned that Rick Green (Bill Smith) would often gather the crew into the Possum Van and drive out to a nice spot at the Christie Conservation Area to shoot a few scenes before taking off. The scenes with the old barn and farmer's shed (usually during outdoor Handyman Corner scenes and Adventures with Bill) are done at a farm near the town of Stoney Creek, which is just South of Hamilton. Could this be the location of the Handyman's Corner shoots with the sheds? The image to the left is a satellite scan from Stoney Creek, Ontario. I found it while checking out the location of the CHCH transmission tower in Stoney Creek which is half a km to the right of this location. That helps the case as it would be close to where CHCH employees frequent and theoretically known; therefore seen as a location with potential for shooting. If you check out the red arrow, I believe that this is the right size for square the "explosives" shed which is often behind Red on the Handyman Corner segments. Aside from the size, the shed on the show appears to be wood base with a tin/metallic roof (not unusual for a shed. As you can see from the picture, it appears to have an off-colour/brownish metallic roof. The roof is also peaked down the centre in the opposite direction of the shed beside it. If you look closely/zoom in on the satellite photo, you can see slightly differing colours on the bottom half of the roof than the top. When looking at a zoomed view (albeit fuzzy), you can faintly make out a peak-line which is consistent with the shed in the show. Beside it, we find a long rectangular shed with an obvious silver, tin roof, again consistent with what we see on the show. From the satellite image we can even see the angled outline of the peak which is very consistent with what we see on the show. When looking at the blue arrow, you have the long, dirt driveway in front of the sheds that Red would often use for his projects. This road not only appears to be the perfect length and shape but size as well. It also has trees and a right turn at the end which was notably shown from the tire changing segment. Could this be the location? It's very possible that with more research on the ground I can confirm for certain. Thanks to Robert Maitland's research, he was able to give additional evidence that points to this being the correct location. While viewing some old tapes, Robert came across an episode of CBC's It's a Living which was highlighting RGS and how they film all of the popular segments fans love. While filming a classic Handyman Corner, the tape captures an interesting point of reference in the background at the 3:12 mark of the tape. Viewers can clearly see a familiar transmission tower in the background which looks identical to the CHCH transmission tower at the Stoney Creek site (shown above). This could finally be the definitive proof that this is indeed the location of the handyman corner scenes. For added fun, I also noticed during some of the bus scenes which is around the 1:27 mark and at the 4:39 mark, that it appears to correspond with the location as well either on the grass strip in front of the sheds or the strip running perpendicular to this strip at the end of the sheds, Specifically of note, there is a long section of grass with pine trees to the right side and eventually dotted hardwood in the background to the left which appears to be consistent with the satellite image. Around the 4:52 mark, it shows the dimensions and colouring of the roofs for the sheds very clearly which I believe fits the description and appearance from the satellite images. The storefront of “Murray’s Variety” which is also known as “Murray’s” can be seen in segue’s during the second season. We also got to see the front counter and the small storeroom in the back whenever Red would drop in to see Murray about something. The store itself is a real variety store named “Murray’s Variety” and located at 1 Plains Rd E in Burlington ON. It can be comforting to notice that it is in roughly the same shape and design that it was back in 1991 when filming for the show was conducted there, however since 2007 the Murray’s sign has been updated with larger wording and coloured with red instead of black as used on the show. In Season 2, Eddie the lodge chef was occasionally seen in the kitchen preparing food when Red would pop in for a visit. At this time it is unknown where the location of these scenes were shot as they were in a regular small commercial cafeteria style kitchen. Where is the lodge that is shown between clips on the Red Green show? Many of you all wonder where the lodge shown between the clips on the show (especially during the first 3 seasons where it was used all the time for segues and wipes). It's actually a campground in Vermont, USA. Steve Smith himself shot the pictures for this using an antique Eumig 16mm camera. He then apparently had asked the owner if he could use the footage for the Red Green show. The owner said that it would be okay for him to do that, but that he was afraid Steve would be bothering the guests. Without missing a beat and in typical Red Green fashion, in response, Steve told him that "he'd already done that." After a great tip from RG fan Deb, I can confirm that the location of the lodge on the show is indeed in Vermont and to go further, I have pinpointed the exact campground. It is White River Valley Campground in Gaysville, VT and could be found at the this webpage. They also happen to have a shot of the lodge on the website which can be found on the right, halfway down the page here. Currently, I have little to no information regarding the shooting locations of the movie Duct Tape Forever from 2002. If you have any background information, please let me know!!!! The show was shot at CHCH11 for the first three seasons. This was located at 163 Jackson St W, Hamilton, ON L8N 3A6. 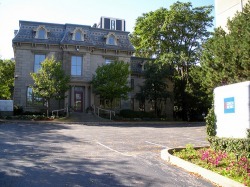 For seasons 4-7 the show was shot at CFPL in London Ontario at 1 Communications Road. For Seasons 7 and beyond the show was located on CBC and shot at the CBC studios downtown in Toronto at 250 Front St. W.
Due to a strike by CBC employees that started on August 15th, 2005 and lasted until October 11th, 2005, the final season of RGS was not filmed at the traditional CBC studios in downtown Toronto. While other CBC owned and produced programs were not being filmed, RGS, along with other programs, ended up moving to other, private venues in order to continue filming. Steve Smith's S & S Productions which owned RGS outright since the late 1990's cut a deal with Showline Harborside Studios in Toronto in order to film the entire final season.